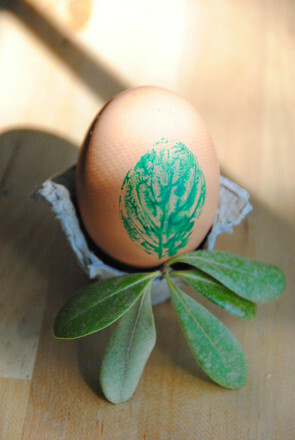 Decorate your house or yourself in honor of Easter! Make this Easter egg craft that works as both a fun necklace or a decorative garland to welcome warm weather and spring sunshine. Cut a string or ribbon long enough to go around your child’s head or long enough to drape across a wall or over a piece of furniture. Wrap a small piece of tape around one end of the string, like the end of the shoelace. This will make it easier to thread the string through the eggs and will keep that end from fraying. Make a knot at the other end of the string. If you're using fabric flowers, a flower with a hole made in middle by scissors is a good way to anchor the knotted end of the string. 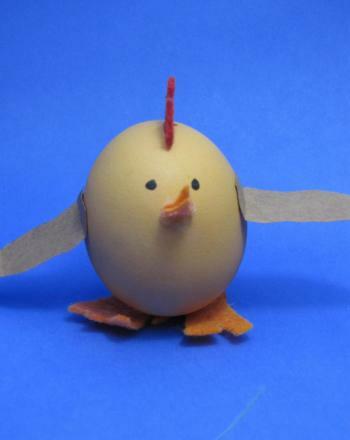 Let your child start threading string through the eggs. 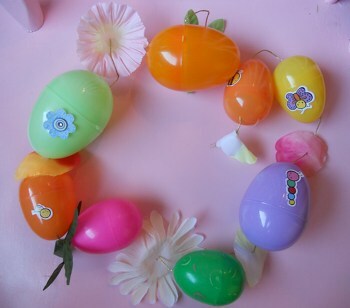 Some plastic eggs have holes on each end, and the string can run through those holes. Widen the hole a bit with scissors if needed. 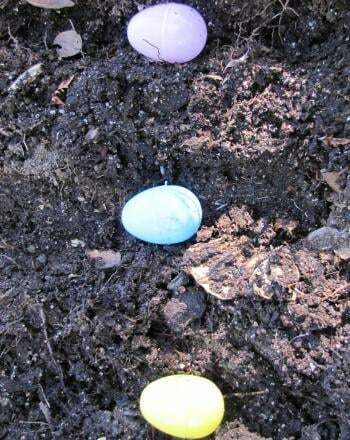 If your plastic eggs do not have holes, open the egg and run the string through the middle of the egg. Then close the egg so two sides of the egg hold the string in place. In some cases, an egg has a hole at only one end, so the string can go through one hole and then through the egg’s middle. 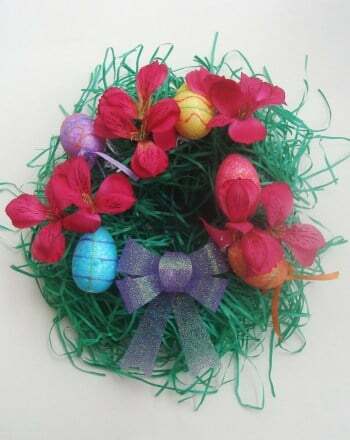 Let your child alternate egg colors and fabric flowers on her string. She can place eggs at intervals by deciding where on the string to snap each egg shut. When you're done stringing, decorate! Use paint, glitter glue, or stickers to give your garland an extra Easter flair. Enjoy your necklace or garland. Wear it or string it up around the house to celebrate Easter or just the arrival of spring! Color and cut out these cute pencil toppers to celebrate Easter with your family.